“On-page SEO” is simply defined as making sure your website, whether corporate or personal, is geared to be as search engine friendly as possible. This is an extremely important factor in optimizing results for your website. Farotech, a top Philadelphia SEO firm, would like to share some specific tips for acheiving on-page SEO success. It is important to research how people are searching for your services and/or products. Figure out how and where individuals are searching. Then, decide what keywords will best fit your webpage, your products and services, and your business or organization in general. You can cultivate a list of keywords that people could potentially use and then make sure to use all of those keywords on your site. Each page should be dedicated to one keyword. As an experienced Philadelphia SEO firm, we also understand and encourage the proper use of title tags. This is very simple. However, we find that many businesses make the mistake of creating title tags that relate to either the name of their business or the URL itself. This is a problem because you want your website to rank based on the keywords, not necessarily your URL or business name. Make sure that each page has its own unique title tag that is based on the specific content of that page. Page titles are a necessity. Each page should have its own distinctive page title. Many businesses think that each page title has to include an important keyword. For page titles, it is more preferable to focus on attention getting titles that will attract the eyes of your target market. The goal is to create a desire to know more so that your prospect will click through and read on. If you can fit the keyword into the Page Title, all the better. Page descriptions (or metadata) are also important. Scroll through your website and make sure that each page has its own description. These descriptions should be unique to each page as well as compelling to the audience. Just like page titles, page descriptions should also be attractive, causing your target audience to want to know more. This will help increase your click-through rate. 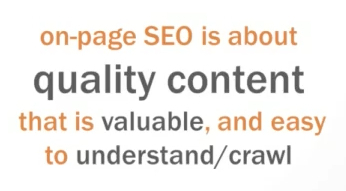 Make certain that each page description clearly describes the specific content of its page. This is the content that will show up just under the link to your site in SERPs. For this reason, it is essential that you do use the exact keyword in this text (it will appear bold to the viewer, highlighting to them that your site contains information on exactly what they searched for) and that you keep it at about 150 characters. If your site isn’t well-organized and helpful, all those visitors that you got to your site through SEO are just going to leave as quickly as they arrived. Is the content formatted appropriately? Does the main content of each specific page show up immediately after the navigation? Will your prospective clients have their questions answered by the content on your site? In completing this checklist, you can make sure that your main content, which is what you want Google to see, appears correctly not only to search engines, but also to the actual people who will be viewing your site. 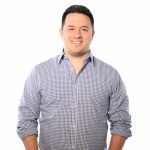 Farotech, a top Philadelphia SEO firm, is in the business of helping small and mid-sized companies expand their reach online through the proper implementation of SEO and inbound marketing techniques. Hopefully these tips will be helpful to you and your website endeavors. Follow these suggestions for greater on-page SEO success and if you need some professional advice or just some extra help getting your SEO campaign up and running, sign up for our free marketing analysis below!